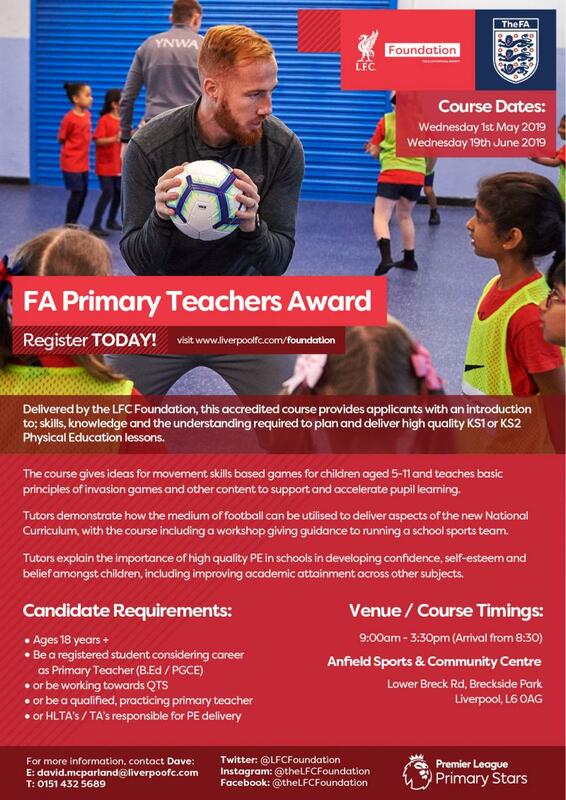 LFC Foundation to deliver FA Primary Teachers Award - Book your place! 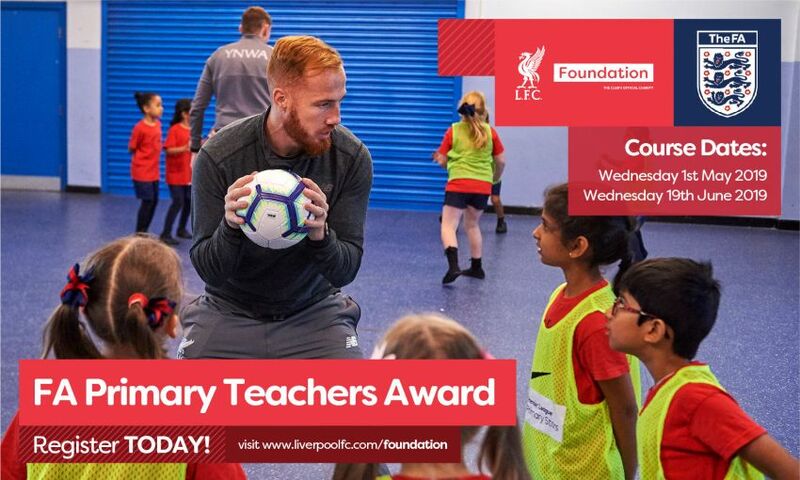 The LFC Foundation are delighted to announce their delivery of the Football Association Primary Teachers Award, with two upcoming cohorts available for practising teachers and those considering teaching careers. This accredited course provides applicants with an introduction to; skills, knowledge and the understanding required to plan and deliver high-quality KS1 or KS2 Physical Education lessons. The course gives ideas for movement skills-based games for children aged 5 - 11 and teaches basic principles of invasion games. Content will also be provided that supports and accelerates pupil learning. Tutors on the course will demonstrate how the medium of football can be utilised to deliver aspects of the new National Curriculum, with the course including a workshop that gives guidance on how to run a school sports team. They will also explain the importance of high-quality PE delivery in schools and how intrinsic PE is to; developing a child's confidence, self-belief and self-esteem. The Course is available for 60 candidates across 2 cohorts (30 per cohort), operating with a first come, first served basis. This will be delivered at the Anfield Sports & Community Centre and last one full school day, from 9:30 am till 3:30 pm.